Nurbolat Shalayit has been missing since March 2018. Screenshot from a video testimony recorded in the Ata Jurt office in Almaty, Kazakhstan and published on the group’s YouTube channel on November 11, 2018. The Almaty office of Ata Jurt, a group in Kazakhstan that supports victims of China’s Xinjiang police state, can be a harrowing place to spend a morning. The walls in the main room are covered with pictures of missing people. This is where the informal group holds press conferences, publicising new cases of people who have disappeared or been long detained in Xinjiang, home of the Chinese government’s now infamous “re-education camps”. On days like this one, the office’s tight corridors become innavigable due to the swell of petitioners who exchange stories of crushing loss and fading hope. All of these people — some citizens of Kazakhstan, others Chinese citizens of Kazakh heritage pursuing naturalisation — have committed to “going loud” about their relatives’ disappearances. To them, a journalist is a walking megaphone, a chance to pressure China into releasing their loved ones, whether from political “re-education”, house arrest, forced labour or just the passportless state that now affects so many minorities in Xinjiang. They know that this approach guarantees nothing, and could even deepen their missing relatives’ suffering. But they also know that a handful of families who have campaigned publicly for their loved ones have found light at the end of the tunnel. Their relatives have been freed and Chinese authorities have allowed them to join their families in Kazakhstan. The only strategy sure to fail is silence. What happened to Nurbolat Shalayit? On my most recent visit to the Ata Jurt office, I met the wife of Nurbolat Shalayit, a man who has been missing in Xinjiang for nearly a year. She was among a number of women who were hoping a high-profile press conference being held that day would give them a platform to tell their own stories to journalists eager for a compelling story. Both Nurbolat and his wife, Kulpash Kadyrbek, are ethnic Kazakhs who were born in Xinjiang. The couple lived there together until 2014, when Kulpash moved to Kazakhstan with their elder daughter, Sayagul. The two settled in Almaty, Kazakstan’s largest city, where they had relatives. 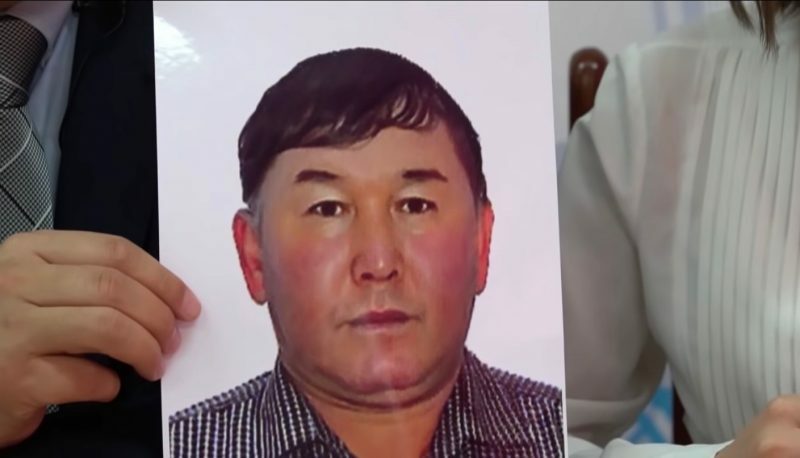 Nurbolat Shalayit stayed behind, along with his younger daughter Sandugash Nurbolat — who provides testimony on his disappearance in the video above — mainly to care for his elderly mother. In December 2016, a few months after his mother passed away, they moved to Kazakhstan and began living together as a family again. In February 2017, Nurbolat travelled from his new home in Kazakhstan back to Xinjiang, to finalise the sale of the family’s former home. Five months earlier, Chen Quanguo had became Xinjiang’s most powerful Communist Party official in an appointment that would give birth to a chain of so-called “re-education camps” across the region. This was a very bad time for someone like Nurbolat Shalayit to pay what he believed would be a short visit to Xinjiang to tie up loose ends. Over the course of that year political “re-education” for minorities became a full-fledged institution. It wasn’t until the end of 2017 that Western press reports began capturing the full scale of suffering in the region. In August of 2018, a United Nations expert panel estimated that a million mostly Muslim minorities — chiefly Uyghurs but also Kazakhs, Kyrgyz and Hui — had been placed in the Xinjiang internment camps. Is Nurbolat Shalayit among them? His family does not know. Their last contact with them was in March 2018, when he told his wife to “take care of the children.” Since then, he has been unreachable. The emotional and financial impact of his absence has been devastating. Unable to afford permanent housing in Almaty, Kulpash Kadyrbek is staying with relatives. Sayagul is studying at an English-language university in Poland, but this opportunity is evaporating by the day, along with the proceeds from the sale of the family’s Xinjiang farmhouse. Sayagul’s knowledge of English is the reason I am writing this post. Most Kazakhs living in Kazakhstan speak Russian, as do I. For many in Almaty, this is their preferred language, a holdover from Russification under the Soviet Union. But the Oralman (“returned”) Kazakhs from China, who populate Ata Jurt’s office, speak Kazakh as a first language, often with Chinese and Uyghur as secondary tongues. When the BBC and CNN fly in, good translators can name their price. On that day, the speakers at the press-conference included a woman released from China after spending over a year-and-half in re-education and a former policeman who had fled China, apparently with significant knowledge of Xinjiang’s surveillance state. Both of these cases were dramatic enough to pique the interests of foreign media outlets that have been looking for new ways to cover the deepening crisis in shut-off Xinjiang. Nurbolat Shalayit’s story, on the other hand, could be repeated any number of times, with only minor differences from case to to case. As other petitioners clamoured to have their testimonies heard before the main event began, Kulpash Kadyrbek thrust a phone towards me. There was her daughter, Sayagul, speaking via video call in a language I could understand. So this is their family’s story. There are thousands of others just like it.